Here are few reasons why you should consider us for your Microsoft Office 365 requirement. Logix Infosecurity has been honored by Microsoft as the best Microsoft Cloud Service Provider in India for achieving Microsoft Office 365 sales targets in record 6 months. Here is the full story you can read about it. In an era, where multiple alternatives are available, our enterprise customers perceived value and choose us. 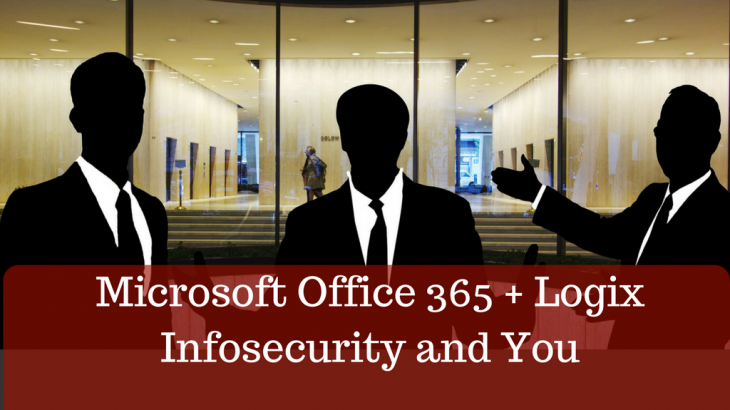 Logix Infosecurity has now more than 300+ Microsoft office 365 customers across India. Our customers has cited that one of the top reason they choose us are because of implementation and support. There are variety of Microsoft office 365 plans that our customers has evaluated. Most adopted and popular plans among them are Microsoft Office 365 Business Essential and Exchange online. Our customers also consider us as Microsoft Office 365 partner in Bangalore because of our Hybrid Mail solution approach. In hybrid mail solution approach, we combine Microsoft Office 365 with Cloud Zimbra. And enterprise users can have the best of both worlds without unnecessary expenses and the guaranteed Uptime mentioned in the SLA. You can read more about Hybrid Mail Solution here. You may try our Hybrid Email Cost-Saving Calculator designed for calculating Hybrid Mail Solution – Microsoft office 365 and Cloud Zimbra. With this calculator you can get an estimated idea of savings with hybrid mail solution. Hybrid Mail Solution, Microsoft Office 365. permalink.